Term bookings are open - you can find them by clicking the BOOK LESSONS button at the top of the page. Congratulations on these outstanding achievements ! in style! Congratulations to Angela Hughes on her first ever competition! Awesome diving!! Congratulations everyone - its shaping up to be a season full of fun and personal bests! Yay! was struck down with the flu. Thank you, thank you, thank you!!!! Whitehorse Diving Club is running classes through the first week of the July holidays! You can book into one or many classes. This week, Naomi Fitzgerald is heading up to the Australian Junior Elite Championships to compete in three events under the guidance of Jenny Donnet, Head Coach. Naomi's goal for these championships is to further cement the new way of competing, along with implementing technical changes in her diving to allow her to dive consistently throughout the championships. Naomi competes on Monday, Tuesday and Wednesday - July 8-10. You can watch her progress on Dive Recorder. It is with great sadness that Whitehorse Diving Club acknowledges the passing of Philip Pullar, OAM. 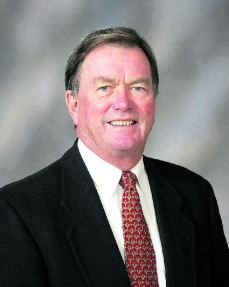 Philip was tireless in his efforts to help the communities he was involved in, notably Australian Diving, Cobram and district, and the canned fruit industry. He was a hands-on, never-say-never leader who believed there was a solution for all situations. He was instrumental in the inclusion of diving in the Victorian Institute of Sport, which significantly affected the lives of elite athletes, allowing them to remain in their home state whilst receiving support services. He then furthered this feat by negotiating a pathway for diving to become a Tier One Sport in the VIS - a formal squad with a full time coach in 2009. His contribution lives on with a stream of young hopefuls and accomplished elite athletes continuing to fill the ranks of a flourishing VIS program. Philip was an extraordinary negotiator and, during his time (and before and after!) as President of Diving Australia, he opened many opportunities to Australian Diving that have allowed the country to now be known as one of the top diving countries in the world. Dean, Philip's son and an Olympian, recently recalled, "...Dad used to say 'We have to make them BELIEVE they are the best!'..." when speaking of the Aussie divers. Philip's dedication and unwavering belief in Australia's talent has yielded many benefits for this country - one of them being the raising of the collective acceptance that we CAN be the world's best. Philip was instrumental - there is that word again! - in bringing medical personnel to reside in Cobram - a town that had only one resident doctor. He was heavily involved in the Fruit Growers Association and made a significant and lasting impact on the Australian fruit industry. These are only some of his achievements that each of us will to continue to benefit from. On a personal level, I was not surprised to see more than 600 people at Philip's funeral. People from many walks of life were present, for he made a more than significant contribution wherever he went. Diving was really just a small part of his life, with his love of the country being paramount - and his love for the well being of his community eclipsing even that. It is with a sad heart that I farewell Philip on behalf of the Whitehorse Diving Club and, more personally, the extended Donnet Family. Our collective support go to Wendy, Dean, Andrew, Lou and their families. Rest in Peace, Philip, and thank you for your amazing gifts. Whitehorse divers performed very well for the last Interclub Pennant of the season! Congratulations to Evelyn Ku on her first ever competition! Awesome diving!! Congratulations everyone on a wonderful season! Its been fun! Congratulations to our newest member, Naomi Fitzgerald, on being selected to compete for Victoria in the Pacific Rim Games! Naomi's performance on platform has earned her a place on the team. The Games, held in October 2013, will be Naomi's first international competition - a fabulous experience at the start of a promising career. Well done, Naomi! And! In her first competition heading towards Junior Elite, Shiori Bak is reserve for the Junior C Girls Platform! Way to go, Shiori!!! The Whitehorse team had one diver competing at the Victorian Elite Junior Championships this year. After 7 weeks of rebuilding her technique, Naomi competed in three events at the State Championships, took a bronze medal in the platform event, and showed that she has become a classy, quality diver. This is the start, Naomi! Woohoo! Congratulations! Two divers in the Whitehorse Squad competed at the Pacific Rim Games Trials. The girls competed in four events in one day - a massive challenge for the most seasoned competitor! 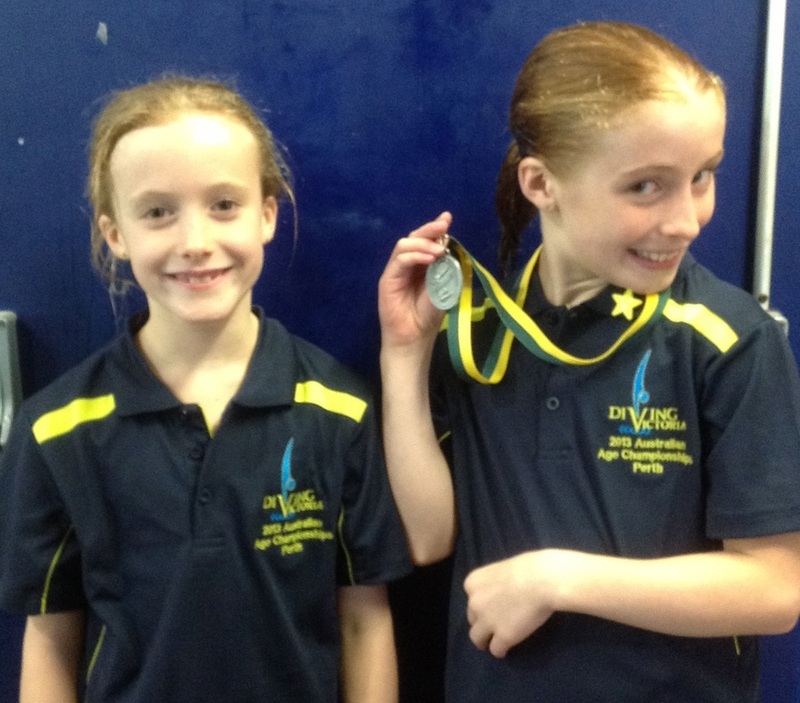 They competed in three individual events - 1 metre, 3 metre and platform - then competed in their very first synchronised competition as a team. Amazingly, each girl finished the day with FOUR personal best performances! An incredibly successful event for all! Shiori Bak, 10, competed for the first time against Junior Elite divers who were 1-3 years her senior. Shiori did remarkably well and put the country on notice for the years to come by showing how cool and consistent a competitor she is in any event regardless of how "big" it is. Shiori's goal was to simply check out the "feel" of elite competition and to gain experience for next year's move into the Junior Elite ranks. She did far more than that!!!!! Wowowow! Our newest member, Naomi Fitzgerald, 12, still under the banner of our sister club, Melam, competed in her second Pacific Rim Games trials. Naomi recently joined the Whitehorse squad and has been focussing on re-learning technique. This was her first competition under the guidance of Jenny Donnet, with her goal being to learn a new method of competing. Success! It will be very exciting to watch the next 12 months with Naomi! wonderfully positive and empowering trip for everyone concerned. THANK YOU! Term 2 begins on Monday 15th April, 2013 ! What a fantastic Nationals! Thanks so much to everyone who was part of the team - divers, coaches, managers, drivers, chefs, supporters, jesters! You all have been integral in such a wonderfully positive and empowering trip for everyone concerned. Final day of the Australian Age Diving Championships. A great day. diving exceptionally well against some extremely tough competition. What's so wonderful is that all three girls dived consistently with really good technique - they were all sooo beautiful to watch! Wow! Congrats girls! In the Mens 19-29 1 Metre Springboard,Chris Coup dived really well and finished in 3rd place. Duuude! Shiori Bak, the little dynamo, finished 2nd in the Girls 11/Under platform, 0.05 of a point from a gold. She wowed us with some glorious diving. Well done, Shiori. Thomas Peace dived the best I've seen him dive in any competition to place 5th in the Boys 16-18 1 Metre Springboard. A great time to perform at your best, Tom! Woohoo! All in all, I'm a very proud coach. Its been a true pleasure, not only to coach this team of great people, but to enjoy their unique gifts as people. Thanks for the privilege guys. Its been fun. Day Three results at the Australian Age Diving Championships for Whitehorse Diving Club. to see Chris "in the zone". managed to put his inward 2 1/2 somersault in for his best scores! Awesome performance, Tom! In the Girls 14/15 3 Metre Springboard, Isabel Marsh was the top Victorian, finishing in 6th place - an awesome performance, Izzy -dived better than training in the biggest meet of the year! Anneke and Shiori Bak competed in the 11/Under Girls 1 Metre Springboard event. Anneke was the youngest competitor in the event, and dived really consistently to finish in 12th place. Fantastic effort for her first ever Nationals!!!! We're looking forward to seeing how amazing she will be in her second Nationals!!!! Woohooo! board with all ten of their toes hanging over the end. This makes it soooo hard to do any kind of decent dive - even an easy one! Today, Shiori did a hang one hundred!!! She landed with only half her heels on the end of the board. I have NO idea how she managed to stay on the end. Then she performed a double somersault and put it on her feet! Awesome diving, Shiori - I can't believe you managed to do such a hard dive on that impossible takeoff! What a legend! fabulous result for the girls - they have only been diving as a pair for a week. They did simple dives - very well - and produced a classy performance to place as the first Victorian women in the event. What a joy to watch! Anneke (left) and Shiori Bak after competing in the Girls 11/Under 1 Metre Springboard event. Awesome work, girls!!!!! What an awesome start to the Australian Age Championships! Shiori Bak and Isabel Marsh dived in the State Team Challenge along with Abby Rowley and Hector Simpson. What a performance! What suspense! Victoria led throughout the competition BUT at the beginning of the final round, New South Wales was only ONE POINT behind!!!!! We held our breath as the last dives progressed, with our divers doing amaaaazing last dives! Result? STATE TEAM CHALLENGE CHAMPIONS! Woohoo! Well done guys! Awesome performance. Matt Simpson and Jenny Donnet shared the coaching duties and were very pleased with the team's performance. Stay tuned for a photo of the kids with the trophy! Below is a list of when Whitehorse Divers are competing! Congratulations to Shiori Bak and Isabel Marsh on being selected to represent Victoria in the State Challenge Event. Well done !! We are very proud of you. Whitehorse Divers Awesome at State Championships!!! Whitehorse Divers put on a show of strength at the Victorian Championships this weekend with 12 divers competing in 25 events. We saw 25 personal best performances at State level, a bunch of medals and many of our divers qualifying for National Age Championships! Good Luck WDC Divers - State Titles! Wow! Here we are again at State Championships! 2013 sees a team of 12 divers competing for Whitehorse Diving Club. We are looking forward to a really exciting and positive Championship! Best of luck! Term 1 begins on Monday 4th February 2013 ! You can book your term lessons on the Term Classes Page. Currently all classes are conducted at MSAC, Sth Melbourne. We will shortly have a new local venue! Competitions Galore During Term 1! see good technique by ALL Whitehorse divers! Technique is the foundation of all good dives! Well done! Bunnings BBQ Fundraiser A Success! CONGRATULATIONS on a fantastic effort!!!!! Whitehorse Diving Club held a BBQ at Bunnings on Australia Day. The Bunnings BBQ raised over $1000! Thank you to all those who organised and helped out at the bbq! What a stellar effort!